Value Your Trade at Nissan of New Braunfels! One of the best ways to save time and money when it’s time for a new car is to trade in your old vehicle. Your vehicle can be quickly appraised and an offer can be made on the spot! Cash in on your trade value at Nissan of New Braunfels today! You can use all of that value as a down payment towards the purchase of any new Nissan or used vehicle. We base our estimates off of several factors to give you the best price for your vehicle. First and foremost, we start with the market value of the vehicle, and then we look at the car’s mileage, features of the vehicle, and vehicle history to get a better idea of what we can provide for you. New Braunfels, San Antonio, and Seguin drivers should schedule an appraisal or you can calculate your trade-in value using the easy form above. Saving money up front and in the long term – Trading in your vehicle gives you the option to not have to have a down payment on your vehicle (unless you want to). Also, the sales tax on the transaction can be reduced due to you only paying the difference between the price of your trade-in and the new vehicle you are buying. In the long term, these two combined mean that could reduce your initial investment and have lower monthly payments. Zero Hassle – Skip the process of selling your vehicle on your own. Don’t wait days, weeks, or even months to find a buyer. We can give you a competitive, market value price for your vehicle today! Easy, Same Day Transaction! You can just drive onto our lot, trade in your old vehicle, purchase or lease a new vehicle, and drive off our lot in a stylish new ride. There is no need to have a secondary driver to get you to the dealership. You don’t have to coordinate schedules or make someone miss work. How convenient is that?! And much more! 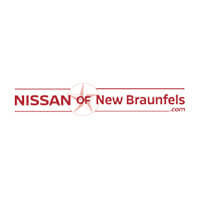 Contact Nissan of New Braunfels today to trade your vehicle. Save some money today with a trade! Let our friendly staff appraise your vehicle and offer you a fair offer. We can get you into a new or new-to-you vehicle today. There’s no time like the present! Visit our dealership in New Braunfels today!